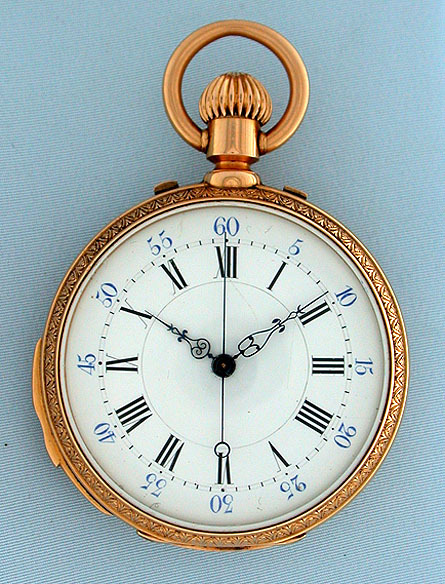 Fine rare and unusual 18K gold two train independent jumping center seconds quarter hour repeater by Louis Audemars circa 1880. White enamel dial with blue and black numbers and fancy blued steel hands. 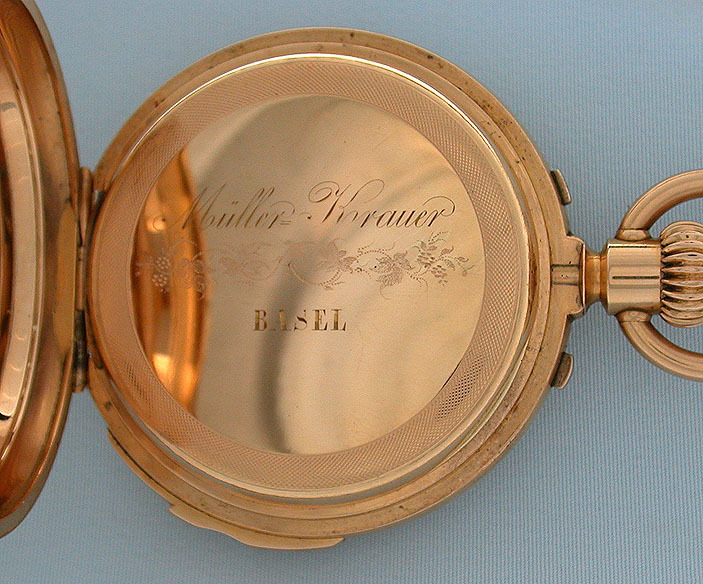 The case with chased design all over, the back with an armorial motif. 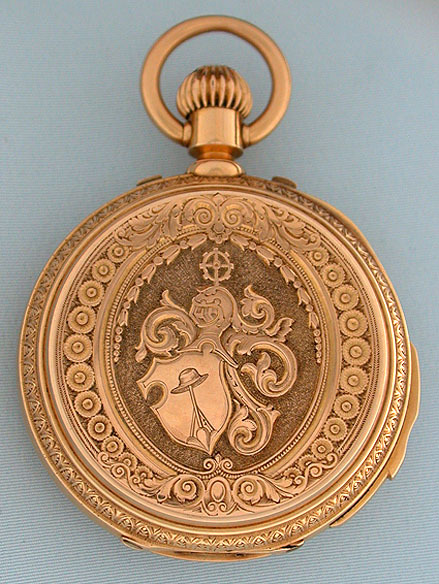 Highest quality 48 jewel tandem wind first quality movement. 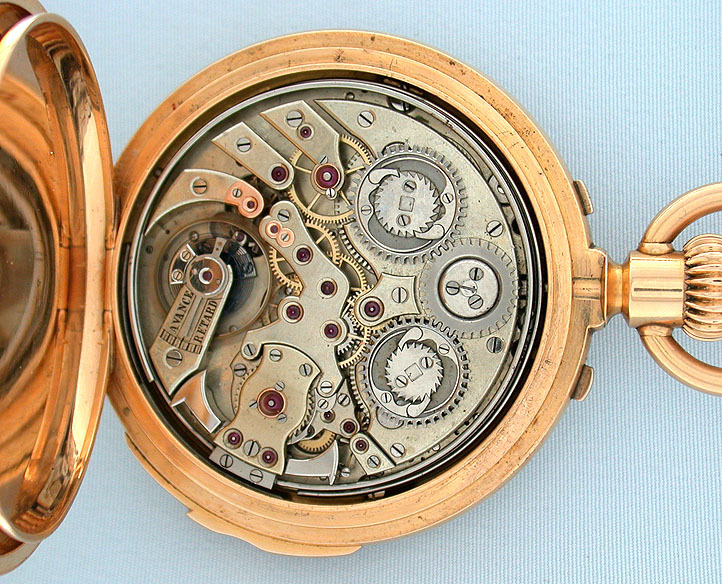 Louis Audemars was one of the most creative and highly respected makers.